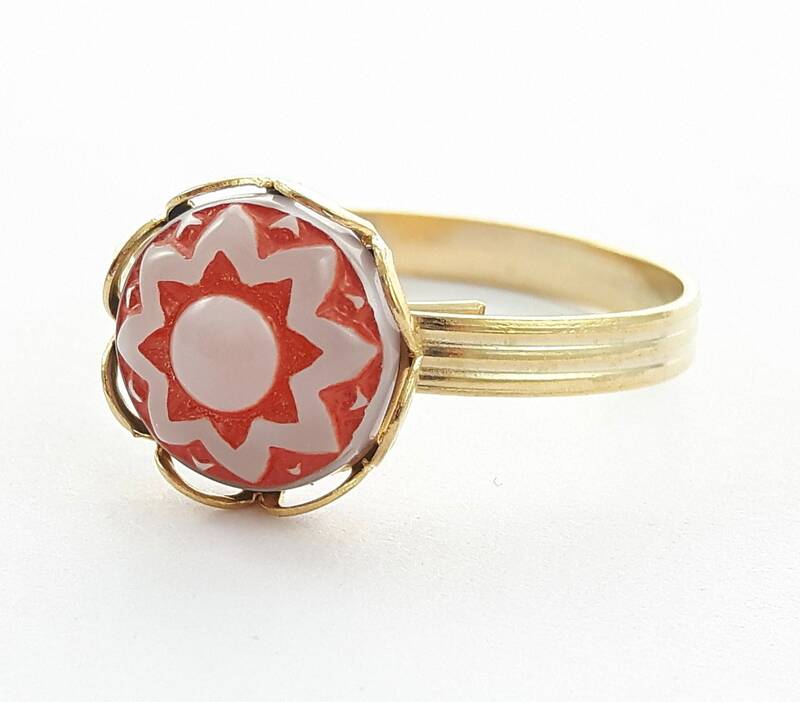 Gold Tone Ring with Vintage Etched Glass Mandala Stone. 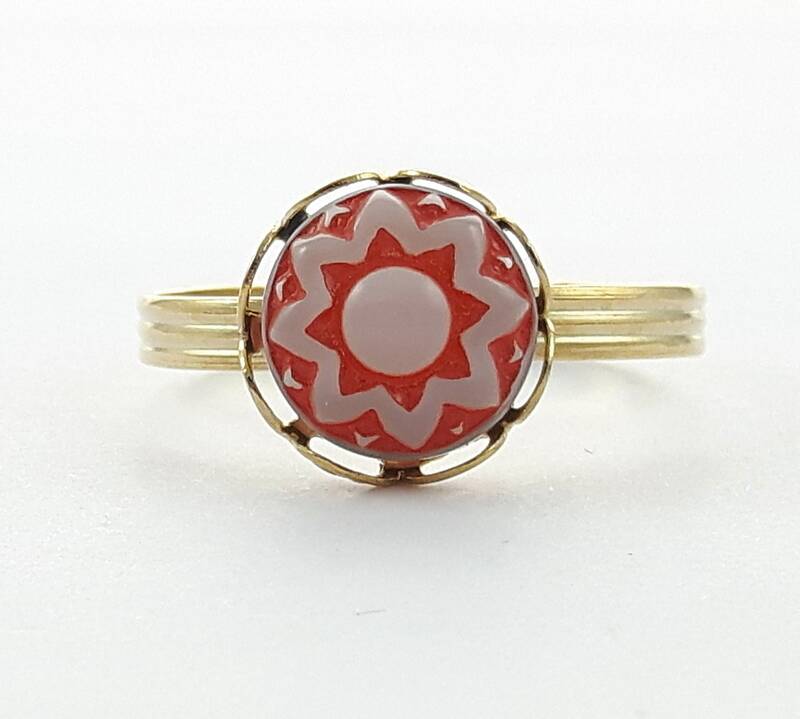 Vintage Glass Stone in Cardinal Red and Opal like White. Vintage Adjustable Ring Base with Lace Edge Setting. All components are New old stock, never worn.